Warning: a bit of a heavy post ahead. I love to write about Jewish holidays and events on this blog--it helps remind ME what the essence of the holiday is, and I love that it gives you all insight into a world that can be hard to understand from the outside. Today is the saddest day of the year in Judaism. It's the day that the Holy Temple in Jerusalem was destroyed thousands of years ago, and it's also the day when we mourn all of the tragedies that have happened to the Jewish people since then. We call it Tisha B'av. We fast and we don't shower and we sit on the floor. It's a hard day, but an important one. When you think about it, there's this thread of tragedy and intensity in the world that we (or at least I) mostly ignore. You hear about a sudden death or an awful tragedy and while you're shaken for a moment, you go on with your life, worrying about what to make for dinner and if your shoes clash with your top. Tisha B'Av is a day to see the unseeable, to take the unbearable and force yourself to stare it in the face. It's a day when we realize this beautiful world is also a place of unspeakable darkness sometimes. But what's the point of all this depressing sadness? According to the rabbis, there are two kinds of sadness--the kind that cripples you, and the kind that motivates you. I try to use this day to widen my perspective, to realize there are bigger things going on in the world than me and my concerns. I'm in a world filled with too much darkness, and it's my job to create as much light as I possibly can. So today, I'm thinking of the Fogel family of Itamar, Leiby Kletzky, Gavriel and Rivkah Holtzberg, the boys killed in the Mercaz Harav shooting, the victims of 9-11, and all of the people who were killed in the Holocaust, including many of my family members. I'm thinking of a girl my grandmother once told me about, who was so desperate to escape the horrifying reality of Auschwitz that she kept her head in a novel, all the way to the gas chambers. And I'm also thinking of all the work there is to be done, and all of the opportunities for good I can seize as long as I look outside of myself. Great reminder to intentionally open our eyes to the outside world with a good purpose in mind... not just to get overwhelmed or depressed. Thank you so much for sharing this, Keshet! I had never heard of this holiday and I think it's a beautiful way to stay mindful but positive. Very thoughtful post Keshet. Being a light in the darkness is a goal of mine as well. I agree that spending time considering the darkness and facing it are very important to shining a light to it. Reminds me of the book of Lamentations and how it is important and can even be a gifting to lament the great darkness in this world. This is so inspiring to me. I am definitely more aware of tragedy and unhappiness in the world days, but do tend to stop, say a prayer and then go on about my business. I am inspired and moved by this as well. Thank you for sharing your faith on the blog K. I enjoy reading it. You did a good job writing about a tough topic. Sadness and grief are never pleasant, but we can learn important lessons from them. This is why I love reading blogs. I love learning new things and I love the raw honesty and emotion I frequently find- thank you so much for this post- it will change my perspective today and help me cope with the awful news from the UK where my sister lives and from right here in New York. This is a really inspiring post-it's so true we often are rocked by tragedy for a moment but then quickly forget the lessons learned. 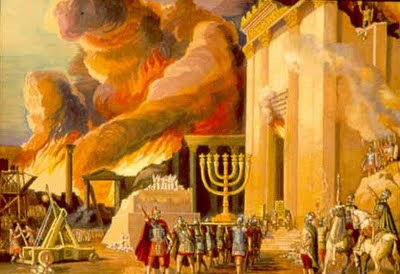 I've seen Tisha B'av noted on calendars but never understood what it represented-I love that through a blog friend I am learning so much about the Jewish faith! This is such a powerful message irregardless of someone's faith. Thank you for sharing it with all of us. Great post Keshet! Thanks for telling us about this day. A day like this sounds like something we could all use. thank you Keshet, I love how you share your heritage and culture here with us. wow! this is such a powerful message and i just love your perspective. that's what trajedies are all about...to learn from our mistakes, to look at the good that we can do, and to make change within ourselves. your honesty is so refreshing! Motorcycle helmets reduce the risk of death by 29% and are 67% effective in preventing brain injuries for motorcycle riders (5). is typically the leisurely karts discovered at family fun parks. shops for their regular maintenance. followed by a performance by the 3rd MAW Band from MCAS Miramar. quite sure I'll learn lots of new stuff right here! money and did not hve the time to fax documents. research because you couldd end paying more in the end. metallic. or else, opt to consider concern of your clubs. uncomparable symbol of defence the opposite Pentateuch.